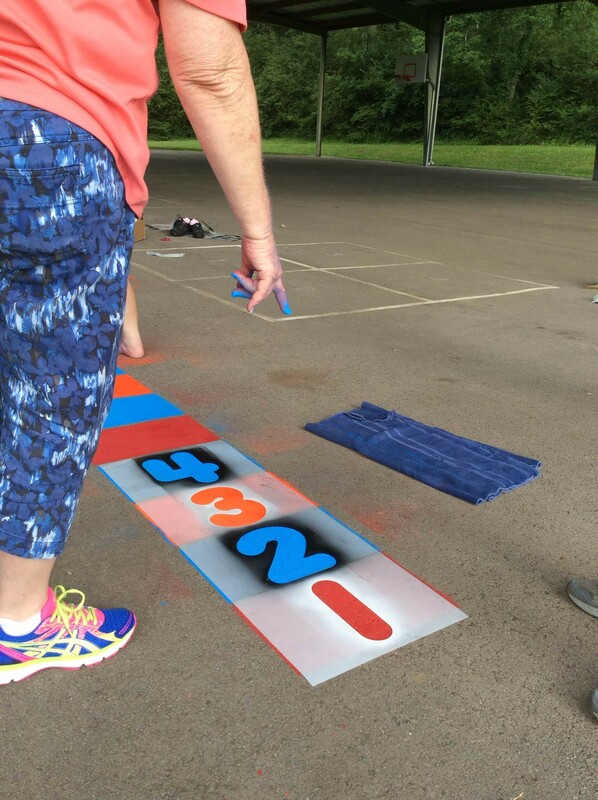 Our stenciling projects partner with the community and community centers to use stencils to paint math patterns on school playgrounds, sidewalks, in parks and playgrounds, and other key locations around the community. 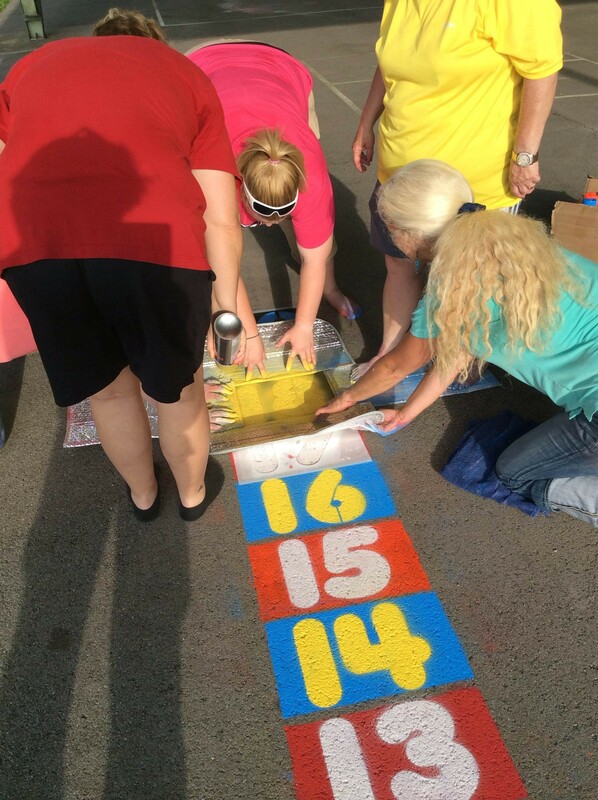 The We Love Math projects allow for many volunteers to work together to stencil their community with MATH! 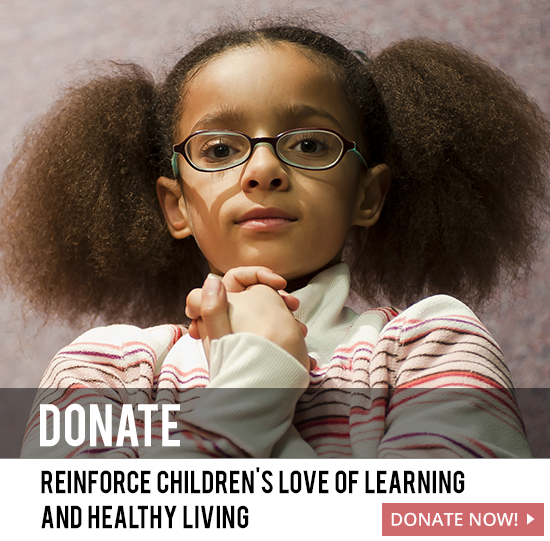 Please note communities can change “we” to the name of community. For example, The Chicago LOVES Math Stenciling Project or The Ithaca LOVES Math Stenciling Project. The main advantage of the stenciling project is to increase students’ access to numbers. 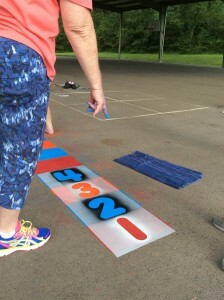 Throughout the year, in all seasons, during the school day, after school, or during school vacations, the students will be able to jump on the stenciled math patterns, use the stenciled numbers to solve math problems and demonstrate to their parents the many uses of the stenciled math patterns. An example of one stencil is as follows. The stencils are used to first paint rectangular boxes. 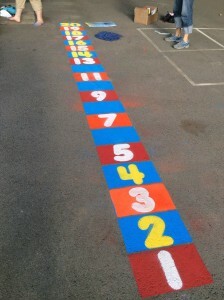 Afterwards the numbers are painted in the boxes. 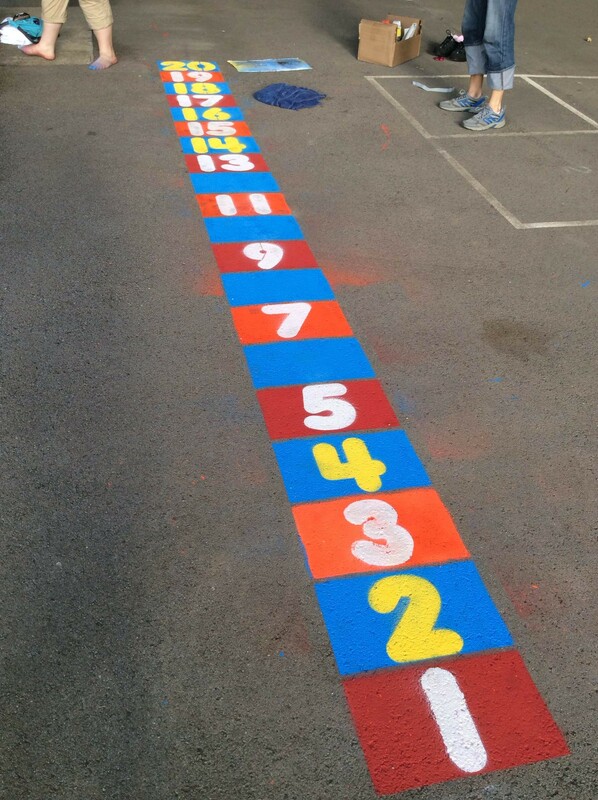 The stencil for 2’s would have the numbers from one to twenty painted in rectangular boxes, one number to each box.